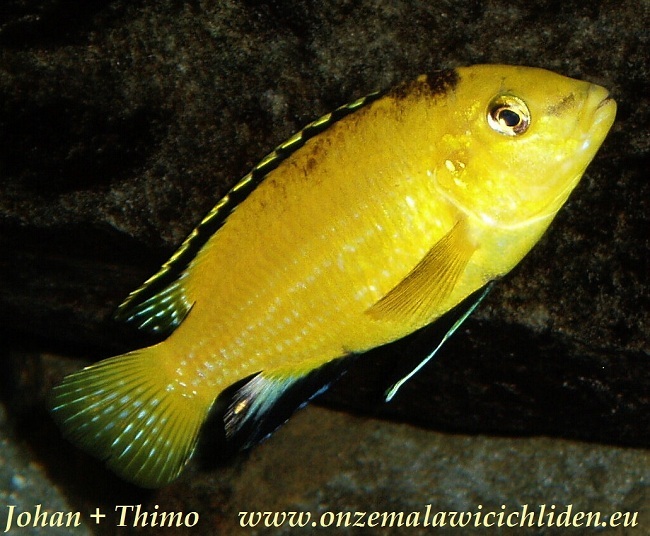 Labidochromis caeruleus is a very popular Malawi cichlid which is known in the hobby for many decades. Especially the yellow kind is well-known. However, there are some variations in colour intensity. There are also white types, as well as light yellow, or yellow and white. 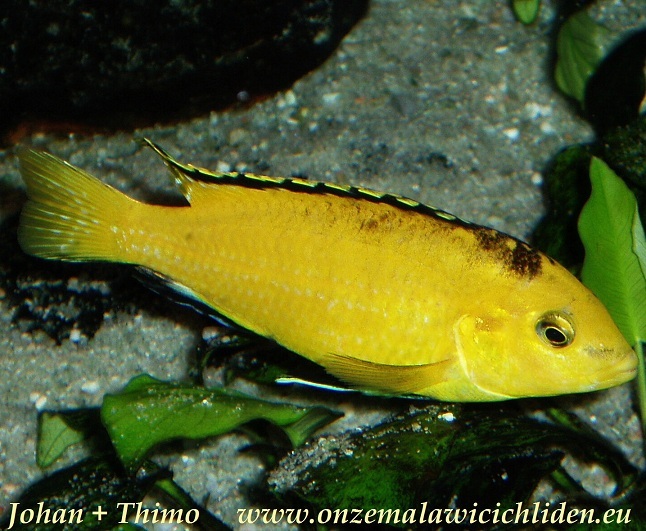 The yellow one is the most wanted in stores, I also have this type. 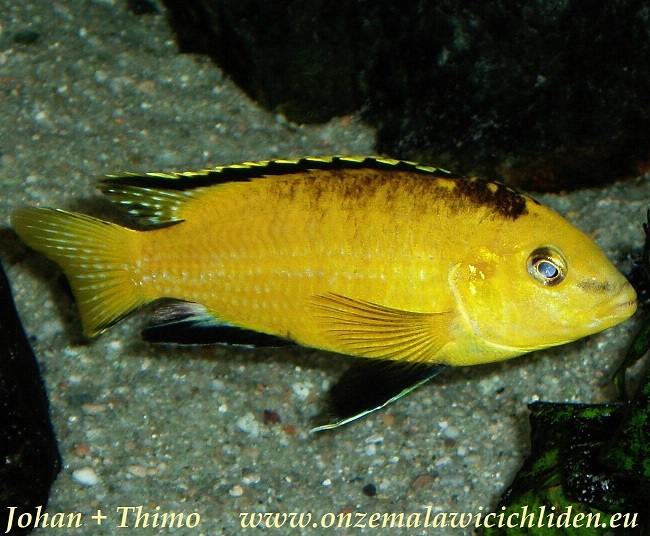 In august 2008 we moved them from the living room to our breeding tanks. 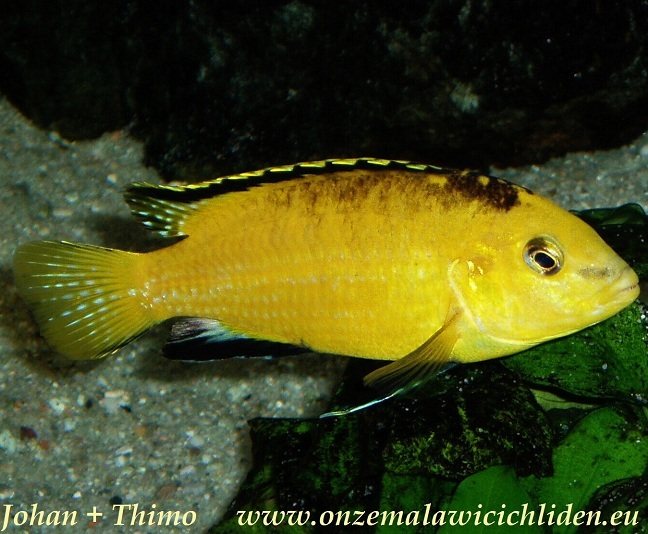 Lately (February 2010) we decided to sell this species because we needed some space in our aquaria. This species doesn't become very large. 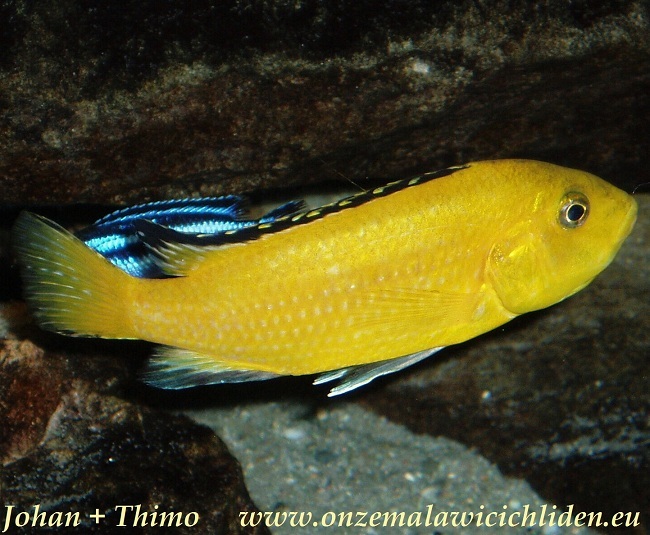 The male in my aquarium was about 12 cm, the females were 8 or 9 cm. 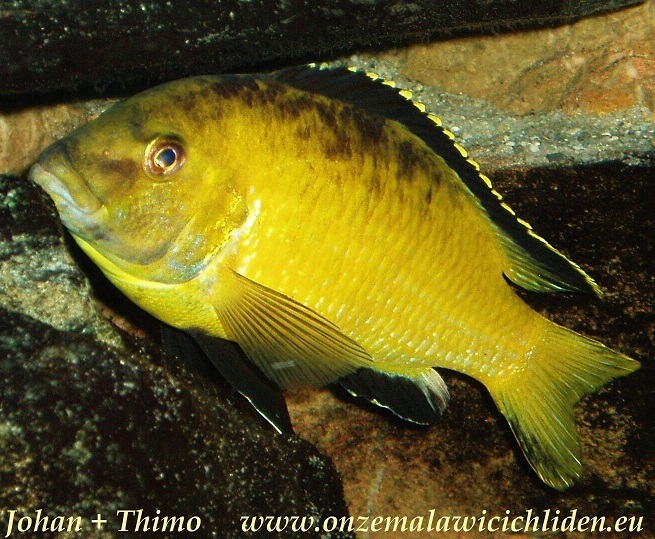 The males have black chest fins, these fins are more white on females. 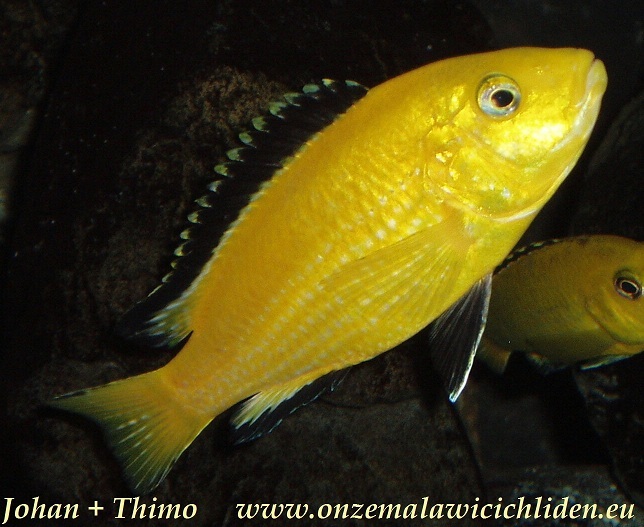 Labidochromis caeruleus is a peaceful cichlid, it only gets a bit more agressive in mating-season. 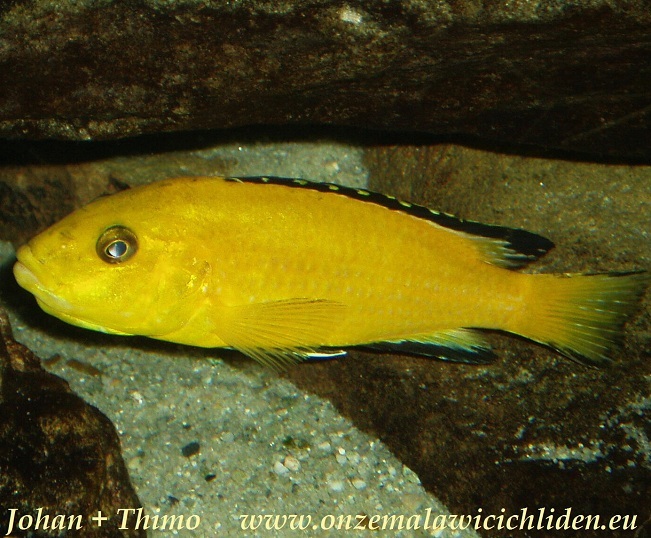 Then it defends a temporary territory - in my aquarium - on the bottom of a rock in the back of my aquarium under the Microsorium pteropus, where it digs a nice hole and seduces a female. As soon as spawning is over he leaves the female alone and he doesn't really seem to care what other fish are doing. 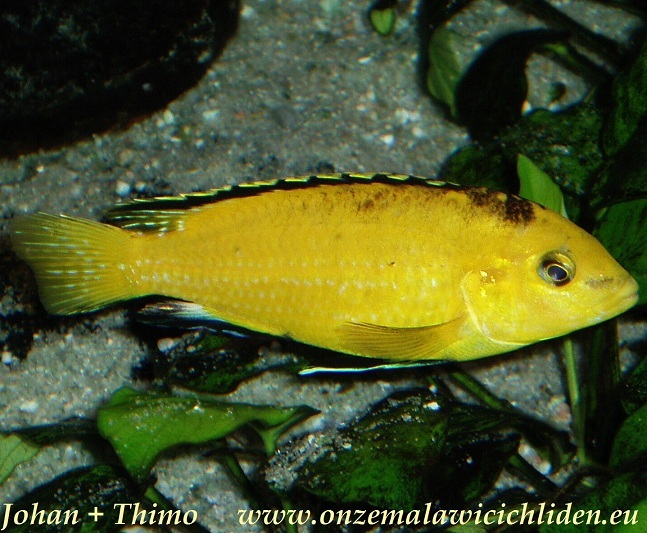 This species has been taken care of lots of younglings in my aquarium.